Note about the fun Wonder Woman video: Wonder Woman is so happy with her Wonder Woman Spriggy Pre-Paid Debit Card until the evil cat burglar steals her purse with her Spriggy Card. The cat burglar was trying to make her escape on a turbo snail. Wonder Woman captures the evil cat burglar with her magic lasso and saves the day and gets her Spriggy Card back. She then ensures that the area is protected and safe. Learning about money is essential for kids. 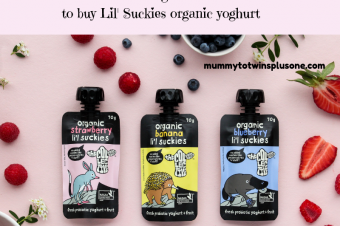 Read on to find out how 5 readers can win a great prize from Spriggy. 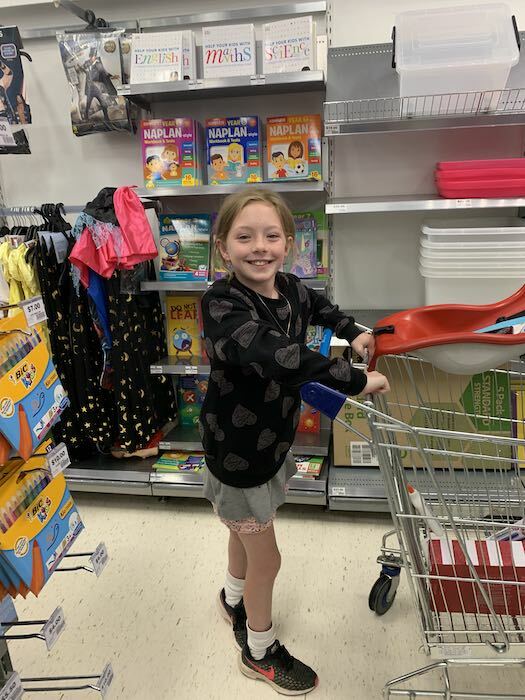 Lillian shopping for some fun things with her Spriggy Wonder Woman Pre-Paid Debit Card. 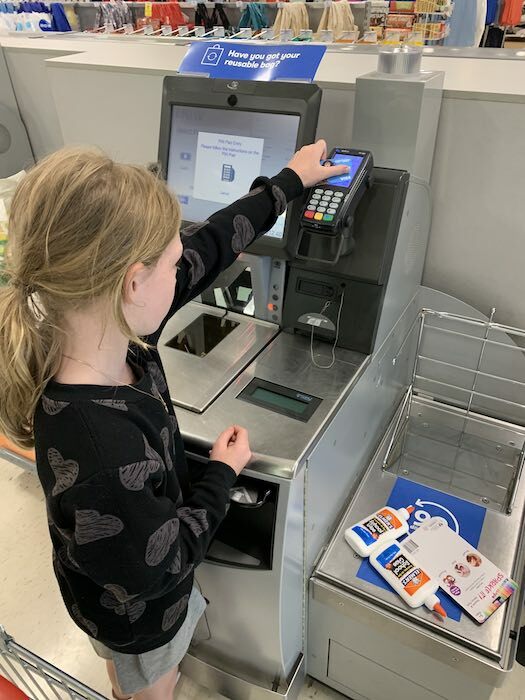 Not many people use cash anymore so understanding how to use a debit card is helpful for kids. Previously the twins just thought I tapped my card and it instantly paid for everything. Now they understand you have to have the money on the card to buy what they want. Julia loves shopping with her own money. 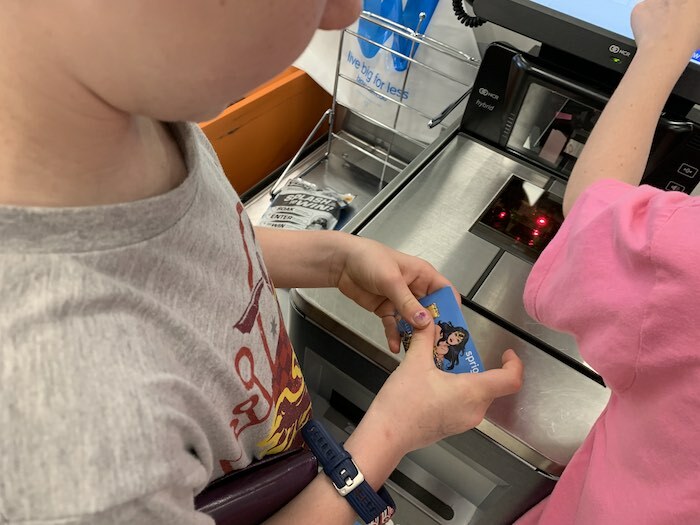 Her Wonder Woman Spriggy Pre-Paid Debit card gives her independence and is teaching her about money. Spriggy is for kids 6 years to 17 years of age. It is super easy to set up and works via the Spriggy App. The app is available on Google Play and via the App Store. We love Spriggy as it is helping us teach the kids about financial literacy. You can try Spriggy out for Free for 30 days. After the trial period, the cost is $30 per card per year. You can cancel for free at any time. 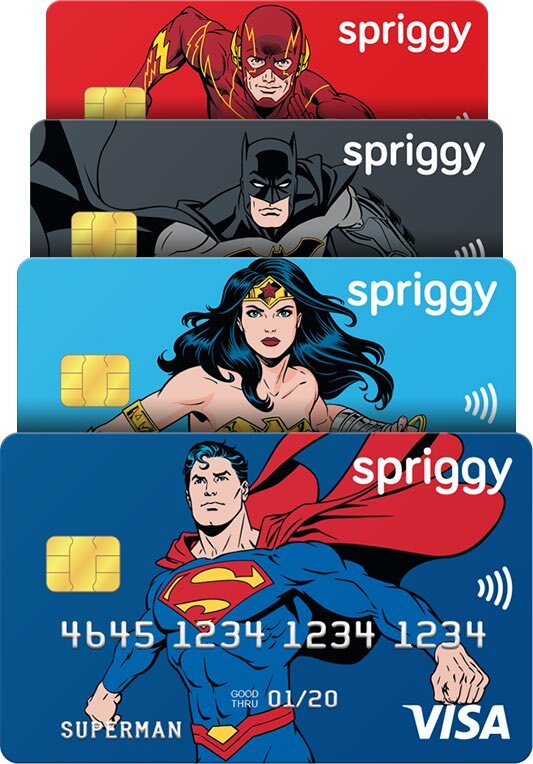 The following Super Hero Spriggy Cards are available: Wonder Woman, Batman, Superman or The Flash. How amazing that 5 readers can win this amazing prize. 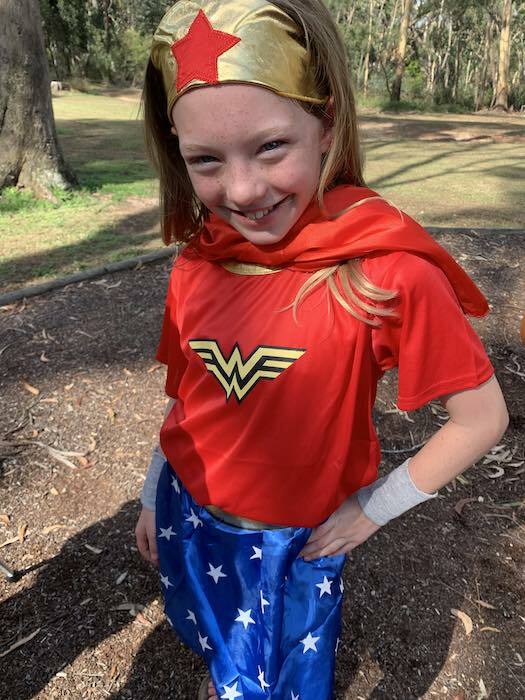 So grown up with her own Wonder Woman Spriggy Pre-Paid Card and buying everything to make slime on her own. (Well mummy did take her to the shops, so not technically alone). Midnight 28th of February 2019. A BIG thank you to Spriggy for this awesome giveaway to my readers. 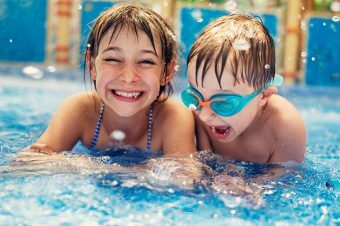 A way to make the smaller kids feel important but also learn about how to manage money and save towards a big ticket item! My daughter is always asking for money and I think this is the perfect start to her stepping out into the financial real world.. I can’t save the world, but I can sure save local businesses from going out of business by shopping Australian! As shopping explorations; wondrously surround! A wonderful way to provide a taste of independence for our smart little one, who is growing up way too fast! Great way to teach kids the importance of money without all the bogged down, intense stuff that even adults find difficult. I thnk this is a great idea as kids will grow up using cards more than money and it’s good to expose them to it. My 6 year old is very interested in all thing money related. Knowing the value of items, and his own pocket money teaches good habits to save not spend. We are teaching him about how us as a family is saving for a holiday. It means no takeaways, no coffees at work and teaching him instead of that toilet surprise you want let’s put that money away to get something when we are on our holiday. Spriggy addresses a major hole in childrens financial education! The days of the passbook are long gone – it is crucial kids learn digital financial skills. It’s different now from the 80’s where 50c – $1:00 for chores here and there were the pocket money days. Now kids really deal in note amounts $5.00+ . Because iTunes and apps or games are in these values. It’s a new financial world. My girls still are pestering for more than I have. The value of a dollar. The responsibility of a debt card is vital for growing generation. Spriggy pre paid card is an awesome concept. Superhero’s. Well I want them to think I am by giving them the tools to work with to be successful in this world in 2019 and beyond. My son loves superheroes and it’s a fab way to learn about money! Great way to teach kids about saving and earning their pocket money. Money sure has come a long way since we used to drop our hard-earned 5 cent pieces into our money boxes, patiently counting them up until we had enough to make a trip to the corner store worthwhile. Now it somehow seems both more and less magical… a plastic card that you simply wave around, yet none of that excitement of seeing your little pile of money grow. Without that visual coin counting, it seems much harder to teach my kids about money and saving – especially when the debit card isn’t theirs! Spriggy sounds like a great solution. Their very own card, an app to get excited about, and the ultimate responsibility: sprig or treat?! I feel these cards will help my young ones learn the importance of how money should be spent and how to save for there future. I would love to try this out with Miss 10 as she seems to think money is endless and we can buy anything we want. What a great device to teach her about money and responsibility! This would be a great test for the kids to see how much willpower they have, especially considering my eldest can get a job in just over 2 years! My little one is getting to that age where she is wanting everything, but she needs to learn that money doesn’t grow on trees! These cards would be the perfect way to teach my little one how to be sensible with money, the importance of it and above all, using it to make sensible decisions! We have had a savings account since Eva was born that we deposit into every week and at the end of each month we look at the total and also see how the interest return grows as the amount increases. She loves that the numbers are getting bigger and we fantasise what we could buy and it’s interesting to see how her tastes change so quickly that we also track. This card will be another tool to learn from on how to spend money wisely. Teaching kids about the value of money is a lifelong lesson. Spriggy assists with that.